As 290 galleries head to London for Frieze Week, we thought you might need a tour guide to make sense of it all. Meet Sophia! As of today, Frieze Week has officially begun. With over 290 galleries exhibiting at Frieze and Frieze Masters in Regent's Park, you can be forgiven for feeling slightly overwhelmed. Where does a person begin? Enter Sophia Brenninkmeyer - your trusty tour guide with a keen eye and a brand new point of view. A year ago, she was working at a gallery in New York and feeling a little fed up with what she saw as the opacity of the art world: the dense and intimidating academic reviews in magazines which reinforced the idea that art wasn't for everyone. She set out to make art and exhibitions more inclusive with her website exhi-art.com. We'll let her explain the concept of the site below but, suffice to say, she's on to something big. 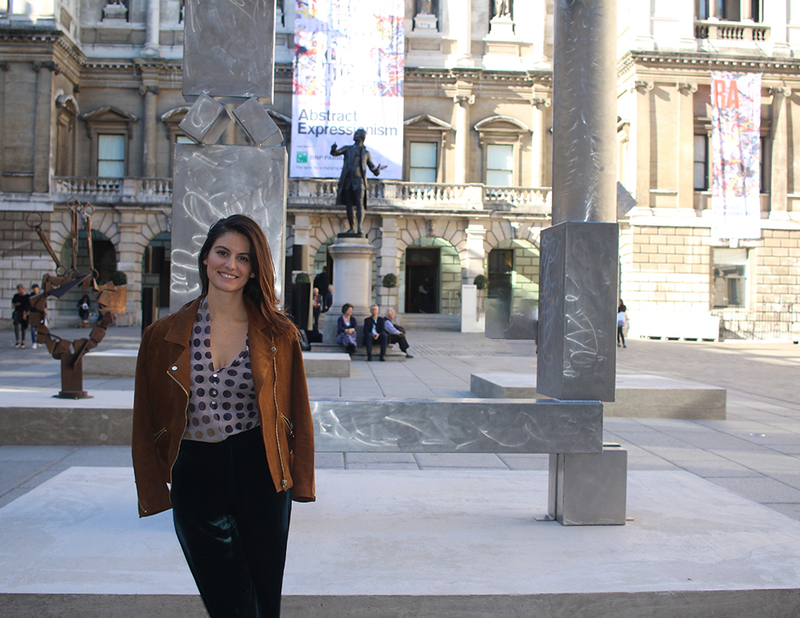 We sat down with her to get the lay of the land at Frieze. What stands should we definitely see? What's new and interesting this year? 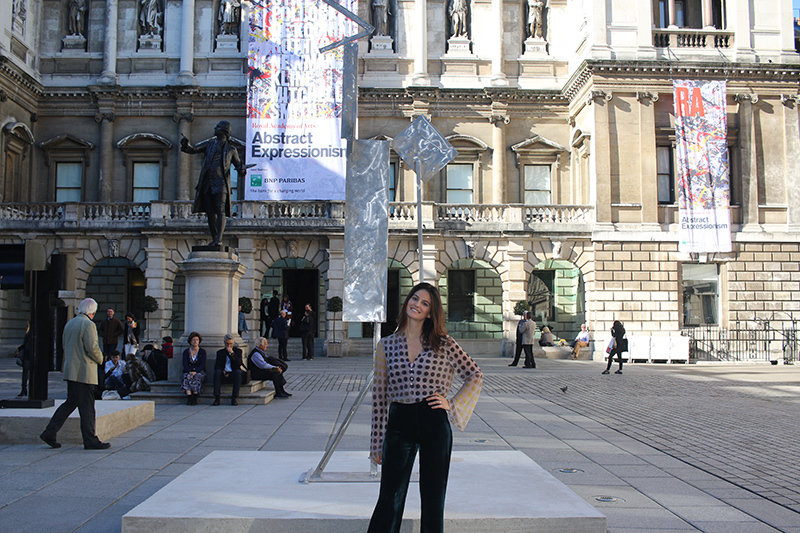 She also listed her top exhibitions to see in London right now. Tell us a little bit about your career in art leading up to founding EXHI? Until starting EXHI in January of this year, I was working at Dickinson Gallery. I started with them as an intern, then became an assistant, then finally a Specialist in Impressionist and Modern Art. From there I moved with the gallery to NYC and worked as a Sales Associate, it was then that I had the idea for EXHI and decided to take a risk and do it. What is EXHI all about? What made you want to start it? The main reason I started EXHI was because I needed it, and I thought, "If i need it, maybe other people do too." Firstly, I noticed that we comment on everything from flights to hotels, and I just figured we should be able to do the same thing for exhibitions. I wanted a Top Ten list of exhibitions that was crowd-sourced, not just based on the thoughts of one critic. I was tired of the art commentary that we had with such heavy writing, so the reviews on my site are colloquial and bite-size. I believe that art is a dialogue and that everyone should be able to join the conversation if they want to. I hope my site will make the art world less intimidating and more inviting. What has been the most surprising thing about starting your own company? How everyone, literally everyone, ‘fakes it till they make it.” No one has all the answers and everyone is just trying their best! Being in control of my day. If I want to work out at 3 in the afternoon and then work until 10pm, I can! Frieze opens in London today. Help us navigate the madness. What are some of the highlights that everyone should seek out? There is so much to see and do! Here are my recommendations. 1) Be sure to go to Hauser & Wirth, who are showing ‘L’atelier d’artistes’, a tongue-in-cheek examination of the practice of reconstructing artist studios. 2) I always love to see what Marian Goodman Gallery brings- she has an unparalleled eye for interesting artists. 3) I also love learning new things at 303 Gallery. This year they are participating in a new section at Frieze, The Nineties, where galleries revisit exhibitions from the 1990s that have had a lasting impact on contemporary art. 4) Don't miss PPOW's stand. 5) 'Focus' is the part of Frieze dedicated to newer galleries- all of them are less than 12 years old. I recommend visiting Chewday's Gallery. They're collaborating with two Antiquities specialists – Georgiana Aitken and Martin Snowdon — to present new works by London based artist Gabriele Beveridge alongside Neolithic Idols from 10,000 – 2,000 BCE. I can’t wait to see the juxtaposition. 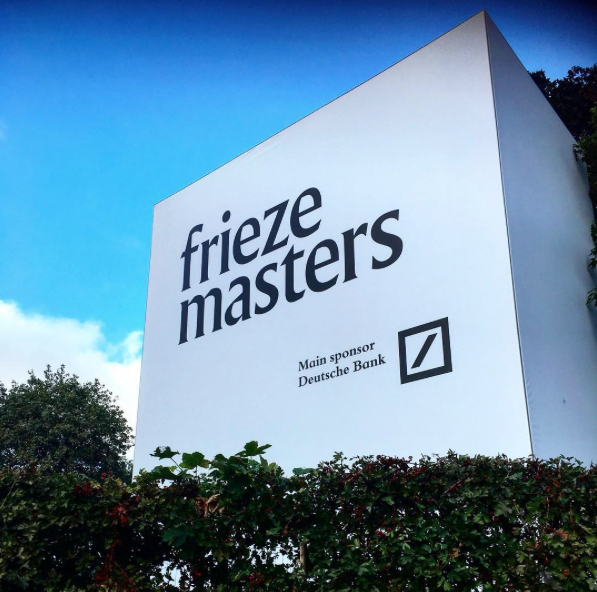 6) Frieze Masters is the section of the fair devoted to older art, showcasing art from the ancient era and Old Masters to the late 20th century. This tent is less crowded and more tranquil that the uber-contemporary Frieze tent. My old haunt Dickinson Gallery always have a great stand, so I'm excited to see what they will bring this year. 7) There has been a growing trend for galleries to curate their whole booth thematically, and this year is no exception. Eykyn Maclean Gallery is celebrating all things Dada with "The Eye of Arturo Schwarz." The whole stand is an homage to the legendary Gallera Schwarz, who operated in Milan from 1954 - 1975. 8) Be sure not to miss Frieze Sculpture, in Regents Park. If it’s not raining, it is my favorite way to unwind after the art overdose of the fair. 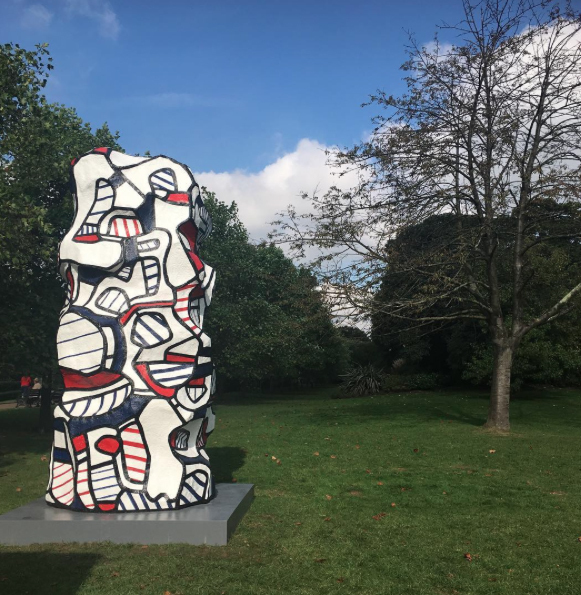 Curated by Clare Lilley, whose talents are usually found in the Yorkshire Sculpture Park, large-scale artworks are dotted around the leafy park. What's your favourite thing about Frieze Week? Seeing all the art definitely, but I also love walking through Regent's Park and watching leaves falling, I always feel like Frieze Week is a great celebration of English autumn. What other exhibitions should we be checking out in London right now? Abstract Expressionism at The RA is a great showcase of the boundless creative energy of 1950s New York. 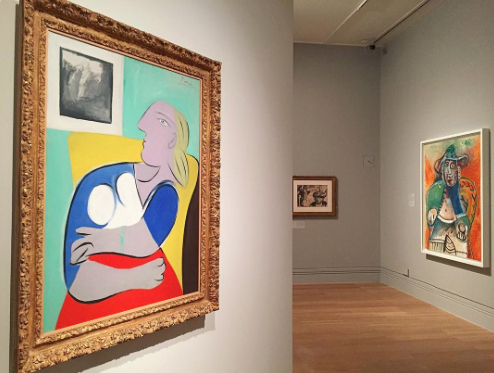 Picasso Portraits at The National Portrait Gallery is set to be a block-buster show. PAD Art Fair (Pavilion of Art and Design) is Berkeley square is a must-see - I go window shopping for my imaginary home there every year. What are some of your favourite London restaurants? Ikeda Sushi is THE best, but watch out - it ain’t cheap. I love Casa Cruz for authentic Argentine flavors, great martinis, and amazing decor. Pizza East in Portobello for pizza (duh) and cold beer.